Dreams and visions (1996) for full orchestra Betty Beath 20 mins, 38 sec. Contents note: Times / Alexandra Vrebalov -- Autumn morning / Allen Cohen -- Hush'd be the camps today / David Fetherolf -- Elegy: Flight 800 / Marshall Ocker -- some other time / Kawai Shiu -- Dreams and visions / Betty Beath -- Concerto for orchestra / Dinos Constantinides. 1. Prelude to sleep -- 2. Birds the colour of the moon -- 3. The she-wolf -- 4. Earth spirit -- 5. Toward dawn -- 6. Day dream. This product forms part of the following series: Music from six continents (1997 series). Booklet includes programme notes and biographical notes on composers and performers. Copy 2 is a replacement CD containing only Beath's Dreams and visions. Performers: Queensland Symphony Orchestra (Beath) ; Mark Summerbell (conductor: Beath). 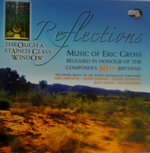 CD: Sonata piccola / music of Australian composers. CD: Forever sunset : music of Australian composers. CD: Ragtime, dreams & visions : piano music by Australian women composers / Katie Zhukov.